To provide an inclusive creative space for individuals with and without disabilities to create and connect through art and movement. To create sustainable systems to continue to provide free classes so everyone has the opportunity to learn new skills and take classes for fun. Sweet Basil, all ages egg hunt, art projects, plant sale and more!! Check out our Schedule and Arts Adventure Sessions below! 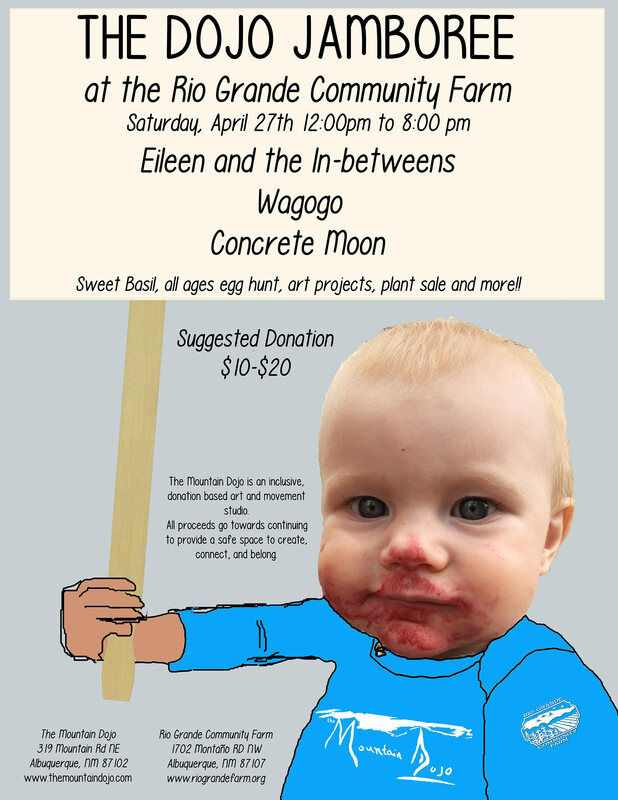 Come help us feed the chickens, grow and harvest food and make beautiful art. Coffee will be provided! Learn guitar, keys, bass, drums and vocals while being part of a rock band for the Kung Fu Opera. Write and perform an Opera from scratch. We write stories, make characters, make costumes and sets with performances in May. Arts Adventures is a 3 hour recreational respite program formerly held at VSA North 4th Art Center. We explore both Art and Movement while making connections with others. It is first come first serve and will have 10 to 15 spots available depending on funding and staffing. There are usually 3 sessions a year. Please email us to sign up your student.